Teamwork is probably the single most important word on the farm. We are garlic specialist so in one way our activity is quite focused but the reality is that there is a lot going on with the producing and procuring of garlic and the sizeable range that we now offer in our farm shop. 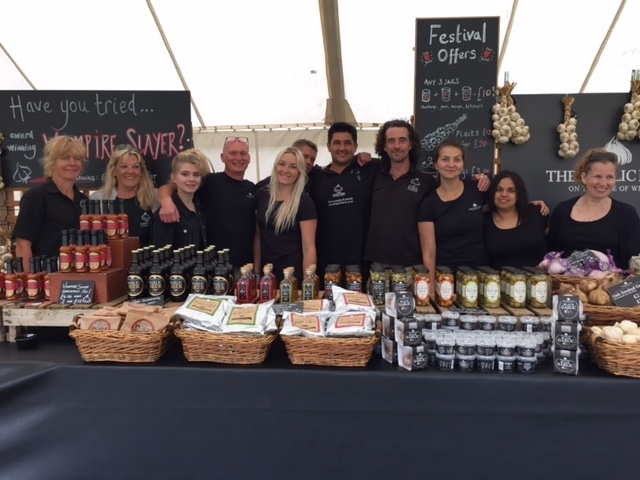 The team effort needed to pull things together for the 31st Garlic Festival last weekend was immense. Every member of our garlic crew either pulled some majestic bulbs from our fields or rabbits out of hats or both as we put together our biggest ever display of garlic products. So basically just a MASSIVE thank you to all of our wonderful team for whatever role you played last weekend. We are SO grateful!